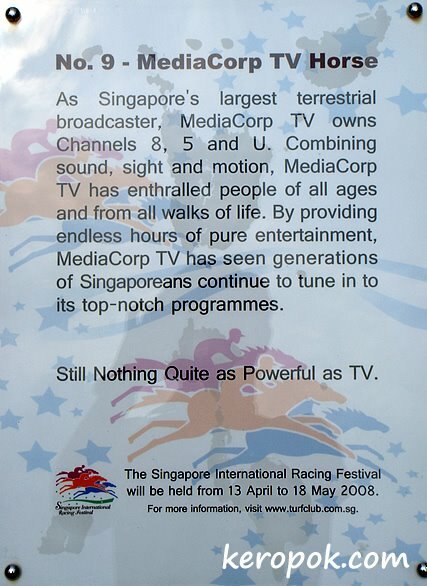 Wow, even the TV station has its horse. The last two spotted in Plaza Singapura, Orchard Road. 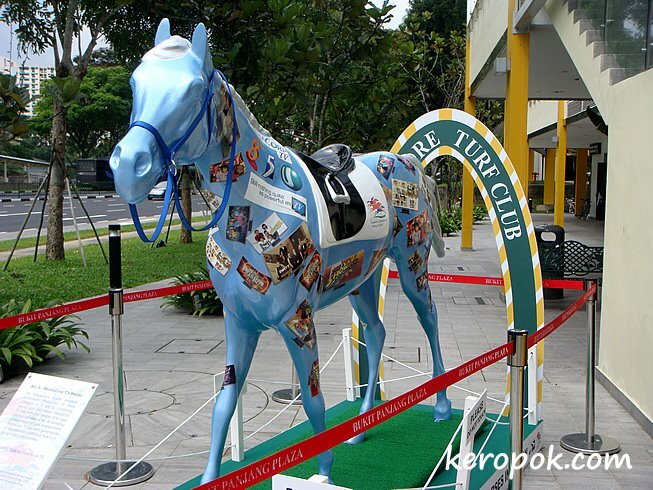 The next two horses to be shown here, were taken in a suburban mall called Bukit Panjang Plaza. Question for today: Do you watch a lot of TV? Ah! Cool. Years ago, we had an outdoor exhibition with decorated cows. Then it was apples. It is a fun way to explore the city. Seems like it is something like this. ya, i am a big fan of channel 8 dramas!! although i'm not even in singapore..haa..